The biggest factor in determining the type and quality of wood that you’ll use for your next project is the project itself. That’s because certain varieties of wood are best suited for certain projects. For example, a hardwood with a closed grain such as maple would be an excellent choice for a butcher block, rather than soft porous wood such as pine. 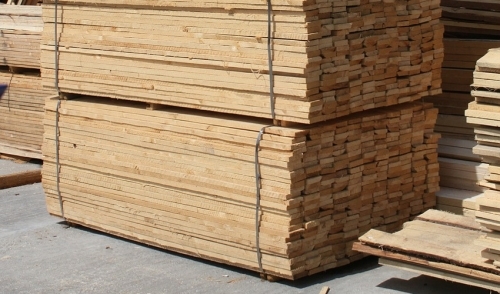 Most lumber can be described as either being either softwood or a hardwood. Generally, softwoods are much less expensive, so determining your needs can help you to decide which type of wood to buy. This, in turn can affect the cost of your project. If your project is something that will be rarely touched or used after being completed, such as crown molding for example, then softwoods may be your best choice. If your building something that is used more often like a kitchen table, the above-mentioned butcher block, or something that may take frequent dings and knocks like baseboard or door casing, then hardwoods would be a better choice. For outdoor projects, you will want to pick a wood that is hearty and resistant to rot and moisture. The NHLA has more information hardwood lumber grades at their website here.